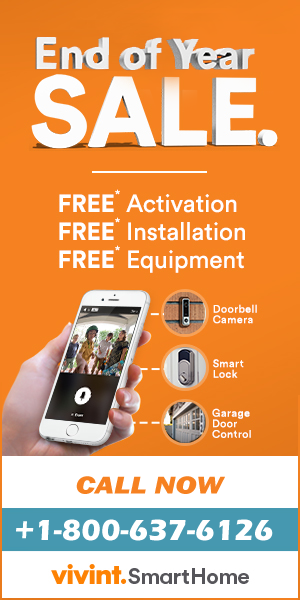 A leader in home and business security, fire and home automation solutions, PEAKAlarm has been providing the best surveillance services for homes and businesses alike. Established in the year 1969 and headquartered in Salt Lake City, Utah, this family owned company is one of the largest in the U.S.
PEAKAlarm has thousands of happy customers within its five-state service area and has been ranked as the 58th largest company by SDM Magazine. The company has built its reputation for providing excellent customer service and quick response times. Its customer care executives are well trained and experienced and can be reached through PEAKAlarm Company Customer Service Number +1-800-444-7231. Apart from providing customized home security solutions, PEAKAlarm also provides 24X7 expert monitoring for optimum protection. The company has its own UL certified central monitoring station with trained operators always on a standby. They are well trained and experienced to handle all kinds of emergency situations and can quickly help you in hours of need. They can also be contacted through PEAKAlarm Company Helpline Number +1-800-444-7231. Why choose PEAKAlarm Company Home Security? For all kinds of help and assistance, call PEAKAlarm company 1800 number and get in touch with their expert assistants. They can help resolve all your issues for comprehensive security and complete peace of mind. Thank you for listing us (peakalarm.com) on your website. We want to advise you of a correction. We have several different contact numbers for all of our branch locations. However, if you use 800-444-7231 it takes you into our call center and they can distribute the call to appropriate branch. Also, the number you have listed is a “fake” marketing number to track sales leads. It is only active when we are running advertisements. So please change number to 800-444-7231 or our Corporate office number is 801-486-7231. Great customer service and got my security video camera at a very reasonable price. The technician cleaned up after the job was over and had everything up and running great. I got a follow up call the next day and I was very pleased they did that. A very happy customer.